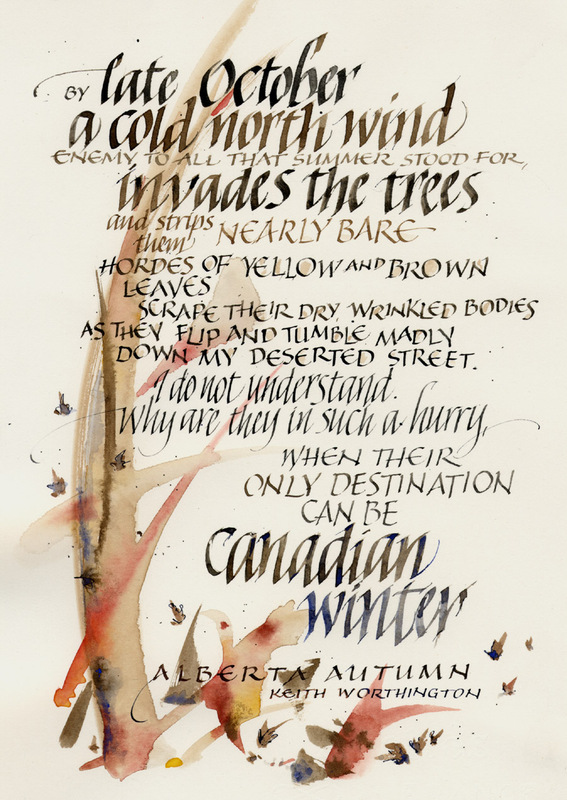 “Alberta Autumn” is in our first poetry book “Puffs of Breath” (published in 2007). 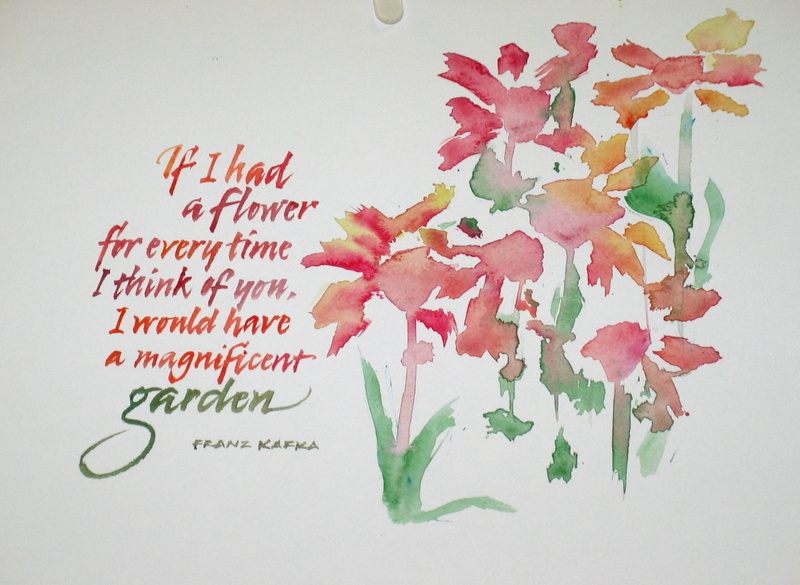 This Franz Kafka quotation and the flowers were both created with pointed brushes. 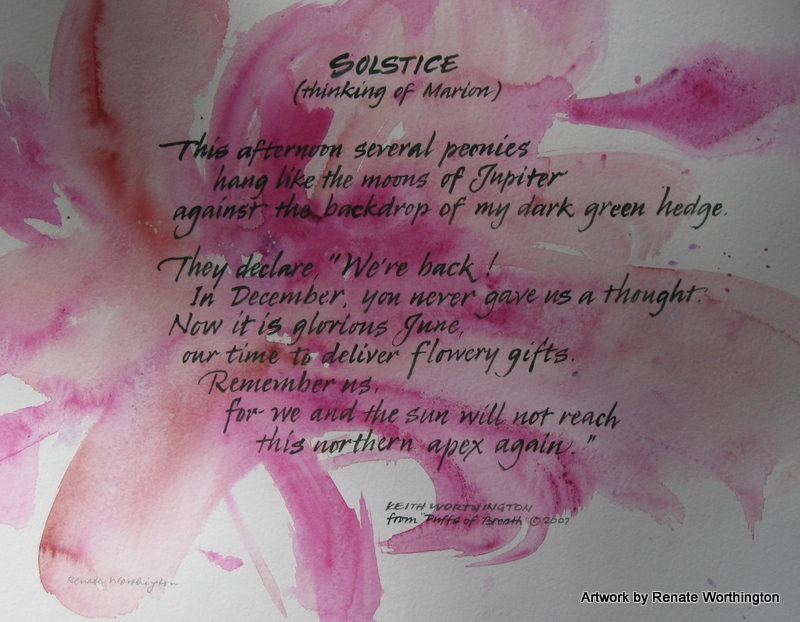 “Solstice” is one of Keith’s poems from PUFFS OF BREATH. I used a very large brush to indicate the background peony. 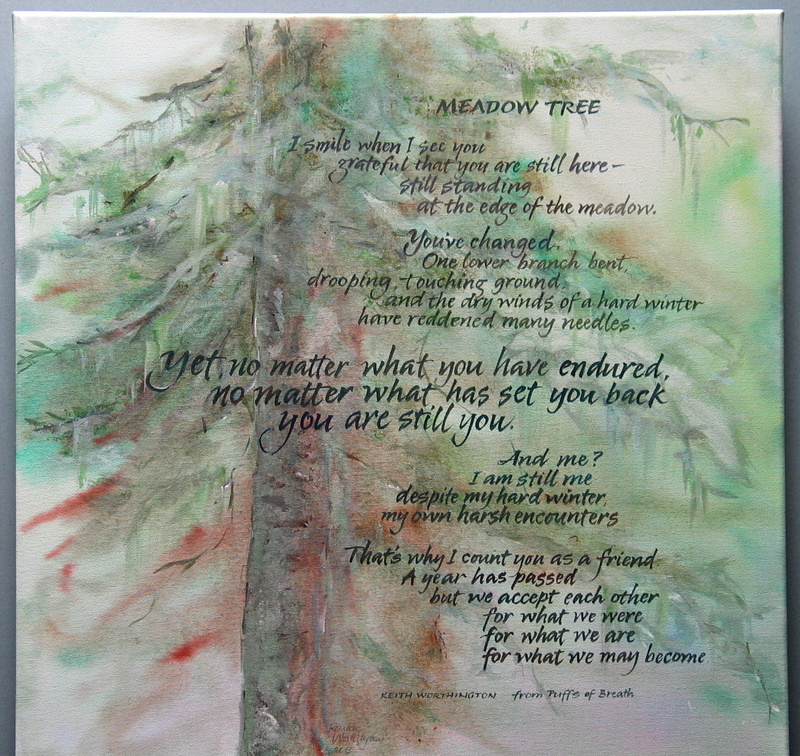 “Meadow Tree” is one of Keith’s poems from PUFFS OF BREATH. I painted the background and lettered the words with pointed brushes. This 20 by 20 inch stretched canvas was one of my submissions to the 2013 Creative Showcase at the Calgary Stampede & Exhibition. “A Marking of Time” is written in a variation of Carolingian letterforms. 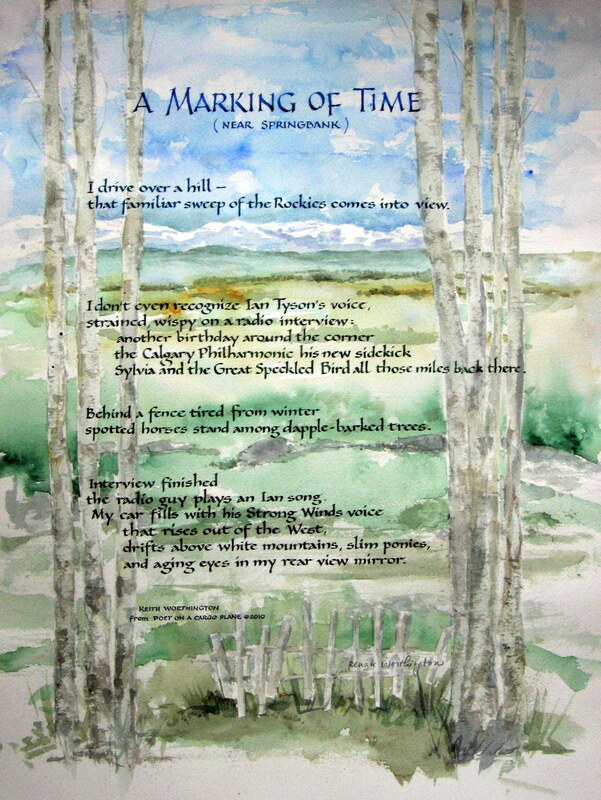 It combines Keith’s poetry with Renate’s artwork and calligraphy.